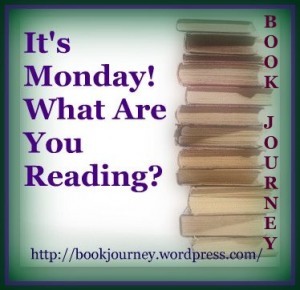 Hello to those who love to read! I finished Cloud Atlas this week. It definitely is a book that needs to be read around the same time as watching the film, just so you can understand each one better. While the book is clever, detailed, and superbly constructed, the film brings the characters and setting to life, interweaving the stories and characters to make the links between the six different stories more explicit. Neither format is easy going. The film jumps from story to story, and it is difficult to work out what is going on, and how the pieces fit together, while the book is split into six sections, with half of each story at the beginning, one after another, one full story in the middle and the second half of each of the other stories played out at the end, one at a time. The thing I found with this format, is that I missed the characters and settings as they finished. I prefer the way the narratives were interwoven in the film, even if it was confusing at first. There was something quirky and lovable about each of the stories: the belief that even one person can make a difference in the Adam Ewing story; the beautiful setting, and descriptions relating to music in the Robert Frobisher story (which are not found in the movie); the fight for survival in the Luisa Rey story; comic elements in the Timothy Cavendish story; a stark and curious dystopian future in the Sonmi 451 story; and the contrast of technology and primitiveness in the post-apocalyptic story. The message underlying each story is that you should fight for what you believe in, even if it means your life. In each story there is a romantic link between two characters, which helps them to be stronger and more able to hold onto their shared beliefs. As these characters rebel against prejudices, their fighting spirit is inspiring and powerful, and their love stories, heartwarming and heartbreaking. I definitely gained more from the movie, with its moments of quiet contemplation and determination to remain true. The stories were all visual feasts, and the diverse characters were played by highly skilled actors, including Jim Broadbent and Tom Hanks. It is quirky though, and one of those movies that is better to watch on your own. 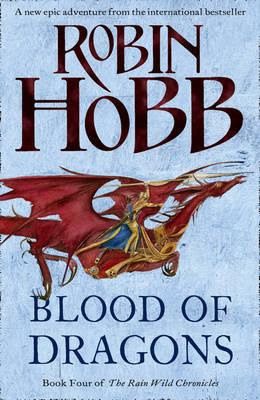 This week I'll be picking up Blood of Dragons, the fourth book in the Rain Wild Chronicles by Robin Hobb. and there are always some amazing surprises in her final chapters. I can't wait! Good review and will keep it in mind. Enjoy Blood of Dragons this is a series I've not read yet. 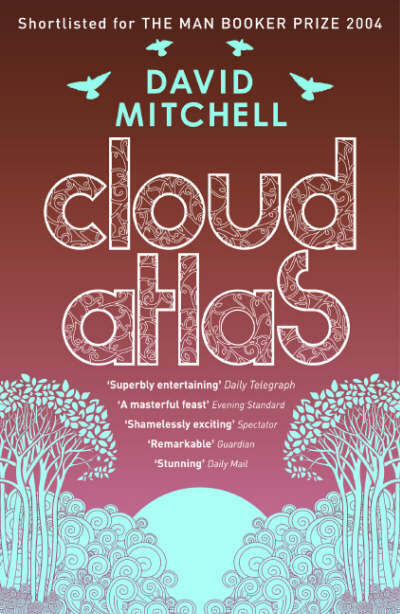 Thanks for sharing the review of Cloud Atlas. 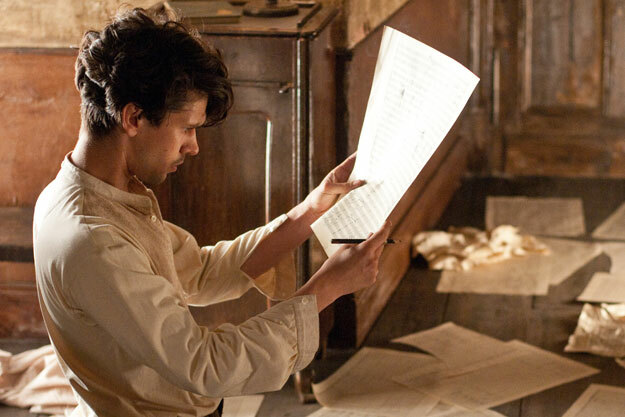 I recently read My Ideal Shelf and I saw Cloud Atlas on lots of shelves. I think I will be off now to find a copy. Thanks for visiting my blog, and have a great week. Enjoy your new series! It's always so nice when you find a good one :) Have a great week! Oh, Robin Hobb! It's been a while since I've read one of her books. I'll have to get back to it though, love her writing. I've Cloud Atlas on my shelf for like two years but haven't gotten around to reading it yet! That's a really interesting idea to pair the movie and the book together. I might have to try that...Have a great week! OMGosh. I read the first three Rain Wild novels (I think - the ones with the magical wood that was really animals?) If so, I'm stoked that there's a fourth novel - I thought the story was over with the third novel. Glad I saw this. Robin Hobb does write amazing fiction, doesn't she? interesting world building, and wonderful details throughout her stories. I hope you are enjoying Blood of Dragons. 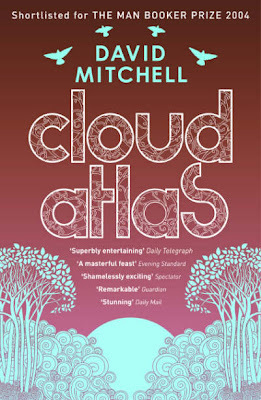 I tried to read Cloud Atlas but didn't get far - just not for me! Hope you have a great reading week! Cloud Atlas is one of those books I've been meaning to read for years. But I know it's going to be a big commitment, both mentally and time-wise!